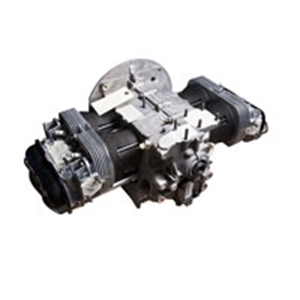 100% New 1641cc Air-cooled Type 1 Twin-Port engine long block. Built on a brand new Genuine VW AS41 Universal Crankcase, suitable for Beetles and bus. This engine is 100% new and features top quality parts throughout. Suitable for Unleaded Fuel. These engines are built in Ireland to the highest standard and all new built engines are hot tested and checked for leaks. This engine features many higher spec extras compared to our standard 1600 engine. All engine are fitted with Steel back bearings, Double thrust cam bearings. Elring gaskets and built in a brand new Crankcase with a 200mm Flywheel. No exchange unit required, just swap all your ancillaries from your old engine to your new long block and its ready to use.